Do you have a panel idea? Would you like to be a speaker? Well, please submit your workshop or panel ideas to us! Who would you like to see speak on this panel? Are you submitting yourself or someone else? Have you spoken on a panel before? On the heels of our first two smashingly successful TCFStyle Expos, we are already getting ready for our 2017 event! Over 40 vendors and a packed house, our 2016 event was breathtaking and we are ready to get things moving for 2017! For 2017 we are adding waaaaaaaaaaaaaaaaaay MORE to the mix! 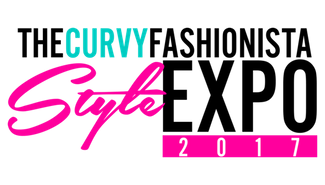 On July 28th & 29th of 2017, Get ready for a full weekend of plus size fashion! We plan for over 60+ vendors, a conference of panels and workshops, and playful fashion shows! Throughout this day, you will sip, shop, and socialize with various plus size fashion, beauty, and lifestyle brands!